The fresh-but-sunny autumn morning promised a fine day when I arrived at our market staal on the Rembrandtparkfestival last Sunday. 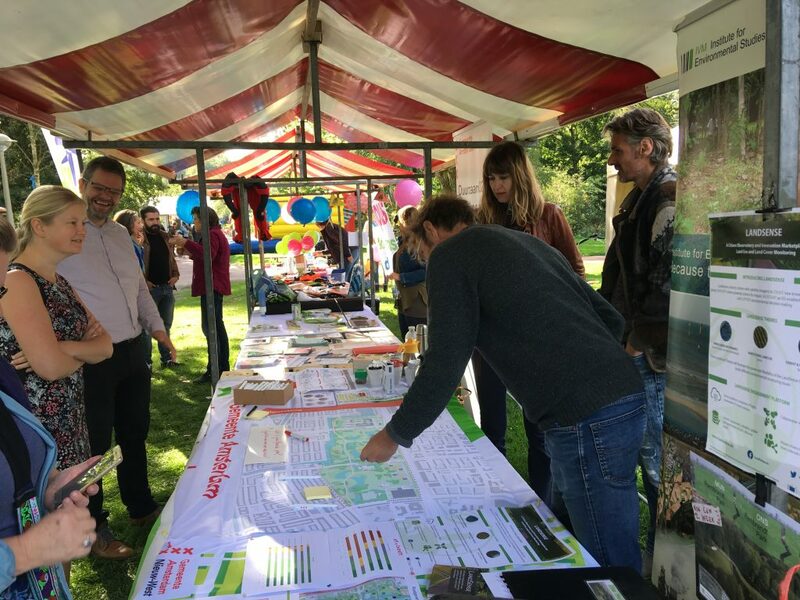 Together with the ‘Rembrandtpark-team’ of the Gemeente Amsterdam we set up our staal with banners from the Gemeente and the IVM, some simple visualisations of results and a large map of the park. On this map people could give indicate their favourite place in the Rembrandtpark. 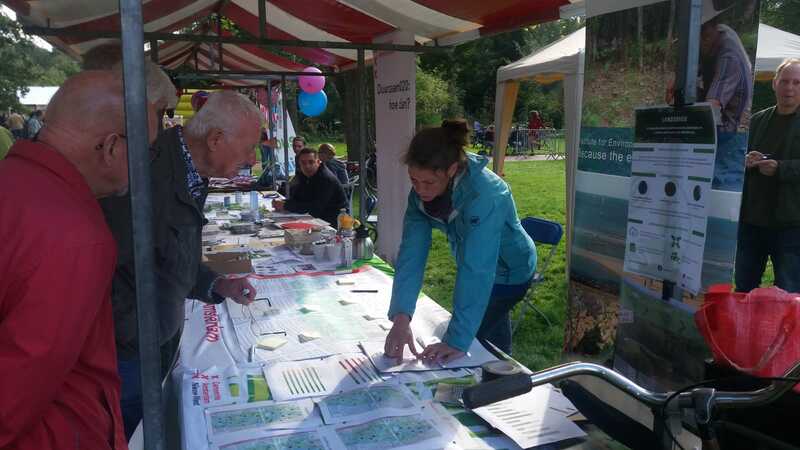 The festival was well-visited and there was a lot of interest at our stall – people who had done the Mijn Park app were of course interested in the results, people who had not done the app were interested in how they could still join in. For this reason the term to do the app has been extended to 7 october. Dit means that the prize winners will also be announced later, sorry for that. The raffle for the prize winners will be postponed to the end of October. Regarding the results, I want to work on a better online-visualisation together with the LandSense team. I hope that you have some patience and I shall hopefully put the final results on this website within two weeks.